Mälardalen University (abbreviated MDH) is one of Sweden’s large institutes of higher education. The University has over 13,000 students studying our 51 programmes and 1,000 courses, and almost 900 faculty and staff. MDH is characterised by close partnerships with businesses and the public sector in the region, making our University attractive to students – and our students attractive on the labour market. The University is characterised by its close cooperation with companies and with the public sector in the region and by its distinct environmental profile. Mälardalen University conducts education that leads to employment and invests in research which generates beneficial solutions for societal development. Mälardalen University, with its campuses in Eskilstuna and Västerås, is a central driving force in the region. Thanks to our close partnerships with international companies such as ABB, Volvo and Bombardier and HEIs all around the world, we offer an international study and working environment. Future Nobel Prizewinners to visit Mälardalen University in Sweden? Today we are constantly online and integrated in a virtual existence. Wii and other game modules make it possible to engage the entire body when playing, and soon Google Glasses and similar products will open up a whole new world. Shortly there will also be a virtual keyboard on the market, created by researchers at Mälardalen University in Sweden. This is advanced equipment for the modern user which will change the potential for working and using new technology. The Swedish METRO project has shown that fires in trains can be greater than previously estimated, but also that the design of trains and the choice of materials is progressing in the right direction. The outcome of the fire can be very different depending on the choice of materials as well as if the doors of the trains are open or not. The companies that have the most success today are those that create new markets by radically innovating their products and thereby the reason why customers buy and use the product. Professor Roberto Verganti, a former scholar at Harvard Business School, is an expert in the area and has just started work at Mälardalen University in Eskilstuna. More than 50 percent of Swedish exports consist of products controlled by software systems. A considerable share of the development costs for these systems goes to quality assurance through testing. Sigrid Eldh, who carries out research at the School of Innovation, Design and Engineering and also is researcher at Ericsson, has studied, in her doctoral thesis On Test Design, how testing can be developed and used in a cost-effective manner. The Dying Swan is sometimes moving smoothly and gently, sometimes in a dramatic and fiery manner, as Tchaikovsky´s majestic music from the ballet Swan Lake is playing. Yet this is no ordinary ballet dancer, but a robot in the form of a swan, created at Mälardalen University and choreographed by professional dancer Åsa Unander-Scharin. 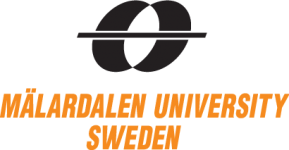 Three of the six projects that qualified for the finals of the International Conference on Software Engineerings (ICSE) contest for students are from Mälardalen University. – The winners of this competition will be able to work wherever they want in the world, says Ivica Crnkovic, Professor of Software Development at Mälardalen University. Do you view your fellow beings as objects or subjects? It is often discussed how men objectify women, how psychopaths objectify their victims, how soldiers are even being trained to objectify the enemy. The opposite way to view a person as a human being is to see her as a subject, as real as one self. With 9 newly recruited doctoral students from all over the world, the Department of Computer Science and Electronics at Mälardalen University really is an international science environment. When companies merge the new organization often has got several sets of software systems which have the same function. Common questions when this happens are: Shall we phase out one of the systems and develop another? Or is it possible to take parts from the different systems and create a new? A new study from Mälardalen University offers help to future organizations to avoid pitfalls like these.